The death of Hizbul Mujahideen commander Burhan Wani in Kashmir Valley has once again provided a pretext to Jama’at-ud-Dawa (JuD) and its chief Hafiz Saeed to mobilise the Pakistani masses and amplify their anti-India rhetoric. JuD, under the leadership of Saeed, was the first one to take the lead with its “Azadi Caravan”. Setting out from Lahore on July 19, the caravan was expected to arrive in Islamabad on July 20. The caravan was received warmly in cities on the way, as participants kept joining the rallies. This rally was the first of the three stages of the movement that Saeed had described the process to be as at its start in Lahore. The stated purpose was to “wake up the Parliamentarians” in Islamabad. The second stage, Saeed announced, would be to march to Chakothi, a small border town on Pakistan’s side of the Line of Control (LoC). “And in the third phase, we will march into occupied Kashmir (Jammu and Kashmir) and we will continue marching till Kashmiris get freedom,” he declared. Many analysts within Pakistan see the free movement of JuD throughout the country as a continuance of state’s policy of supporting and sponsoring jihadists to attain the desired results. Interestingly, though JuD enjoys tacit support of Pakistani establishment, in a recent development, on April 27, 2016 a Pakistani judge directed the Punjab province to present its case on a complaint that was filed against JuD for running unauthorised Sharia courts in the eastern city of Lahore. The documents submitted to the court show that the group is accused of holding parallel Sharia courts where Islamic law experts decide family, civil and criminal law cases without official supervision. Sadly, successive government in India since independence has chosen to remain silent spectators with regard to the oppression and atrocity that is being heaped on the people ofGilgit-Baltistan by Pakistan. ord Gilgit-Baltistan is nowhere mentioned in the Constitution of Pakistan. Despite the people of Gilgit-Baltistan opting to join the state of Pakistan at the time of division of the Indian Sub-continent in 1947, Pakistan has not honoured its commitment of totally integrating the region with the nation. 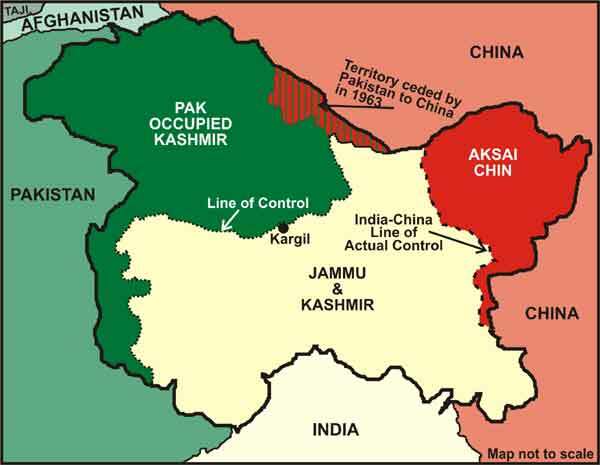 It misused the UN resolution on Jammu and Kashmir to declare Gilgit-Baltistan a disputed territory; re-designated the region as Northern Area and exercised control over it through political agents. The word Gilgit-Baltistan is nowhere mentioned in the Constitution of Pakistan. In the last six decades plus, Gilgit-Baltistan has been given only cosmetic rights of self governance. Actual power is vested upon the federal government and exercised through the Ministry of Kashmir Affairs and Northern Areas. The demand for a full fledged Provincial status has also not been met by the federal government. Indian has many reasons to remain concerned about the situation that is developing in Gilgit-Baltistan. Beyond the historic contours of the dispute, what is of significance now is Pakistan involving China in its nefarious design to colonise and subjugate the strategically sensitive region. By involving China, Pakistan is making the country a part of the Kashmir dispute, something that India needs to be wary of. This move by Pakistan will have implications of instability in the entire South Asian region. Kashmiri aspiration for independence evokes a fair degree of support due to a perception that Kashmir was `never’ a part of India. This is a new mythology whose origins can be traced back to the post-Independence politics in India and muddled approach towards national integration rather than any historical truth. However over the period of last sixty nine years, many of these myths are now firmly entrenched in the minds of people of Kashmir. Even people outside the province are, at times, affected by this. This distortion of history is itself part of the Kashmir problem and it is therefore important to know the truth. In 1947, Kashmir, or more accurately the princely state of Jammu and Kashmir was no different than other 560 states, of varying shapes and sizes that formed `princely India’. There are two extreme views on the usefulness or other wise of history in understanding contemporary events. One view, historical determinism, asserts that history repeats itself, always and every time. On the other extreme is the theory that each event is unique by itself. The truth lies somewhere in between these two extremes. History as a chronicle of past is a useful guide for understanding trends in thinking of people. Historical trends can be extrapolated to present and future, with due modifications. History of a region also takes care of effect of geography, climate and genetic evolution, otherwise difficult to fathom. But most importantly, history as a collective memory of people serves a major role in shaping perceptions and is a constant reference point for actions and events. Recently, this author was in Singapore interacting with that city state’s marvellous intellectual and strategic institutions. The issue of J&K raised no apparent interest there but scholars were aware about the strife in the streets. It bodes well for India that Pakistan’s efforts to internationalise the issue find little favour thus far. However, the UN Secretary General’s gentle observation and the the UNHCR’s demand to send a team to Srinagar must not be taken lightly either. There are Pakistan sponsored organisations that are attempting to raise the temperatures on J&K. The lack of any success so far must not lull India into complacency. On the ground in the Valley, 41 days of virtual lock down is a test for the administration and the security forces. Rumours are rife and the Separatists are making effective use of the limited means of communication available to them. The ‘Chalo’ programs are reminiscent of the 2008 strategy. The strategy in itself looks at using a landmark to gather large masses with people travelling to the event, commencing resistance from the moment they are obstructed by security forces. This ensures that instead of just the weight of strength at the announced landmark, there are smaller fires too that are burning at different spots all along the National Highway and the feeder roads. The Valley has rarely been subjected to suicide bombings although suicide attacks, in which terrorists fought till their last breaths have been common. In street confrontations with security forces, however, there is a virtual propensity towards suicide through extreme resistance on display. It is a leaf out of an Intifada type resistance commenced by the Palestinian resistance in 1997. India’s recently anointed Minister of State for External Affairs M J Akbar is currently on a nearly week-long visit to West Asia from August 17. A visit seen by some as using the minister’s astute understanding of the region’s complex interplay of religious and social forces to get a closer assessment of the ground situation in the Middle East. Some see it possibly as a precursor to the long awaited Indian move for a more ‘substantial’ role in the Middle East. On August 20, during his tour, Akbar was in Damascus where he met with the Syrian President Bashar al-Assad. During the meeting Assad reportedly said that India as a growing power has a role to play in meeting the challenge of terrorism and the two countries agreed to upgrade their security consultations. Assad also invited India to play an active role in the reconstruction of the Syrian economy. Both leaders agreed that as secular nations, India and Syria believe in faith equality. The geopolitics in the Middle East has hit a troubling note post the failed coup attempt in Turkey. A week before Akbar, Chinese Rear Admiral Guan Youfei was in Damascus to meet Syrian Defence Minister Fahd Jassem al-Freij. Guan is head of the Office for International Military Cooperation under the Central Military Commission that oversees China’s 2.3 million-member armed forces. The Chinese military, it appears, wanted to use Guan’s trip to better understand the current state of events in Syria, where over 300,000 people have died and over four million of its citizens have been displaced in the fratricidal many-sided conflict. According to Xinhua News Agency he also met the following day with a Russian general who is coordinating Russia’s military assistance to the Syrian regime. India is floundering in a mess of its own making, whose seeds a short sighted leadership had unwittingly planted, post partition, after being in complete denial about ground realities. Successive governments, following in their footsteps, have only aggravated the situation. Consequently, Kashmir is on the brink of turning into a political black-hole, a point of no return that bodes ill for the nation’s identity and even its very survival. How can a mere four out of 10 districts in the Valley, hold an entire nation to ransom. Pakistan is doing all it can to throw a roadblock in New Delhi’s march towards global ascendency and derailing its economic progress. Although peaceful co-existence as a concept in the current context is well past its expiry date, it is still being bandied about as a panacea for all that is bedeviling the country, but has little to do with existing circumstances and a radically changed scenario, given the extreme hostility and irrational hatred so aggressively fostered by Islamabad, post a crippling defeat in the 1971 war. India is facing the gravest crisis in its 70 years of independence, testing the very limits of statecraft. Islamabad is openly boasting about planting its flag on Srinagar and hinting at some kind of a limited war, notwithstanding a series of humiliating defeats which ended with Kargil. How can a mere four out of 10 districts in the Valley, hold an entire nation to ransom. Pakistan is doing all it can to throw a roadblock in New Delhi’s march towards global ascendency and derailing its economic progress. 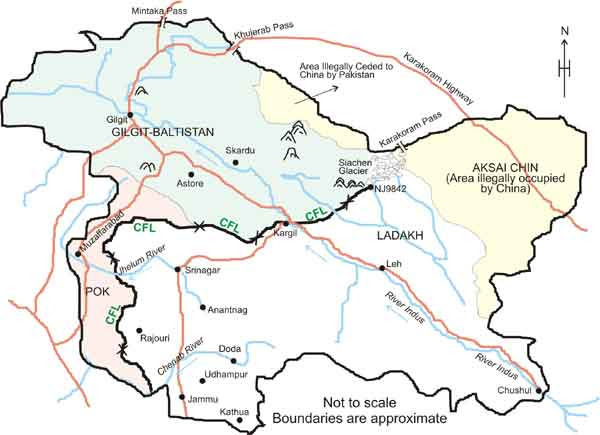 Union Territory Status for Ladakh? A day later, in a speech from the Red Fort, Prime Minister Narendra Modi counter-attacked and referred to Pakistan’s human rights abuses in Balochistan as well as Pakistan-Occupied Kashmir (PoK). 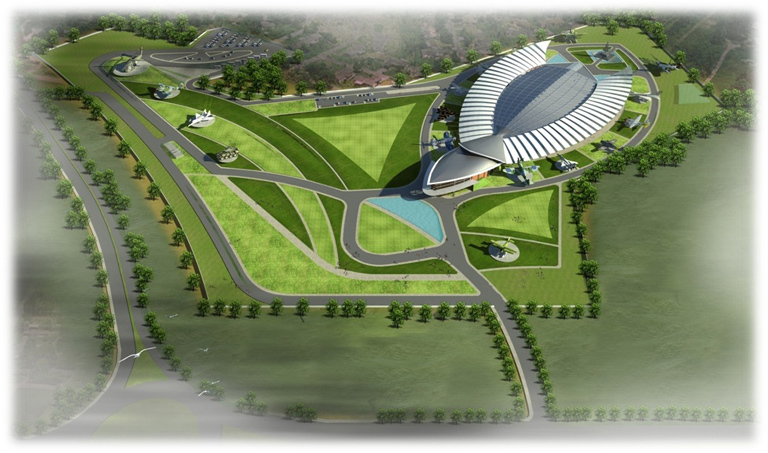 Spread over 43 acres, the new Aerospace Museum would have extensive indoor and outdoor displays including huge aircraft parked and hanging in flying attitude with mural depicting the golden era. A dedicated children’s area would be part of the museum where children could enter cockpits of displayed aircraft and get the feel of flying controls. The Chinese have aggressively involved themselves in Myanmar yet they are unsure of their future relationship and their investments due to the oncoming democratically elected government. Chinese involvement in Myanmar has been viewed with a great deal of hostility by the locals, as they perceive that the Chinese have exploited their country through corrupt deals and benefitted themselves more than anyone in Myanmar. Consequently, Chinese investment fell from $12 billion in 2008- 2011 to just $407 million in 2012-2013. This resentment has forced the current government to renegotiate most of their major projects to get better terms for themselves. China is also wary of the NLD leader’s proximity to the West (US) and its allies like Japan and South Korea. Thus China would have to fight tooth and nail to retain her influence in Myanmar and safeguard her national interests. On April 01, 2016, a new dawn heralded in Myanmar as a new democratically elected government was sworn in to rule the country. In the recently concluded elections held in November 2015, the National League for Democracy (NLD) party led by Aung San Suu Kyi swept the elections and won more than 75 per cent of the contested seats1. As per the Myanmar constitution only 75 per cent of the seats are contested for in the elections as the balance 25 per cent are reserved for the army to nominate its own candidates directly to the Parliament. In hostile interactions between nations, there are ‘no rules’ for the Victors till the status quo has been established. India is a continental country and should, therefore, have a realistic outlook and possess strong Land Forces, unlike other nations which maintain strong Navies and have sea barriers to protect them. Wars, if fought, should have decisive outcomes so as to ensure a century of peace thereafter, goes the old Clausewitzian dictum. 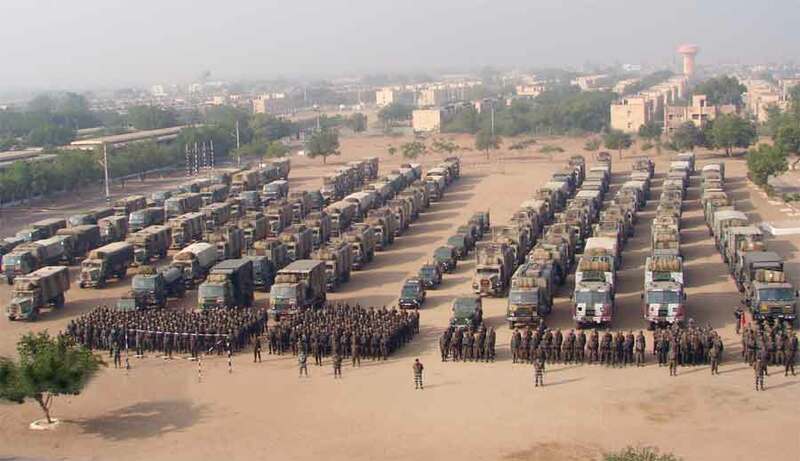 The importance of restructuring Indian Army’s battle groupings to fight decisive “deep operations” in order to permanently achieve the strategic upper hand should, therefore, not be lost sight of. Our national war aim should not be the capture of territories or assimilation of hostile populations but to ensure the destruction of enemy forces, and a favourable outcome to neighbourly relations in the decades ahead. In the wars fought by India since Independence, this reality has been significantly lacking in decision making inputs. With the promulgation of ‘FM-100-5 Operations’ guidelines in 1982, the US Army finally bade farewell to the ‘Attrition Theory’, and transited to the ‘Manoeuvre Theory’ in order to win wars. Earlier in 1967, during Exercise DNIEPER, the Soviet Union had switched over to the ‘All Arms Battle Concept’ and fine-tuned its offensive doctrine based on successively coordinated and staged forward ‘Echelons’ in order to achieve “Penetration”, “Shaping of the Battlefield”, and the conduct of “Deep Operations” using Corps-sized mechanised Operational Mobile Groups (OMG), for maintaining the momentum of sustained unstoppable offensive operations under nuclear as well as non-nuclear battlefield conditions. This was the ‘trigger’ which led to the change in American military thinking, as NATO had no viable answers to counter the overwhelming threat posed by the finesse’ of Red Armour operations. The one thing that caught the world’s attention besides all the impressive hardware at the 70th anniversary parade at Beijing was the announcement by President Xi Jinping on the reduction in the strength of the People’s Liberation Army (PLA) by 300,000 personnel. This has been followed up by Chinese media reports on the impending reforms in the PLA and has attracted worldwide attention. A lot has been going on in China and in the PLA since Xi Jinping assumed office as President of China and as Chairman of CMC in November 2012. Three years since then, it is quite clear that he has easily become the most powerful Chinese leader since Deng Xiaoping or maybe Mao himself. The reduction of personnel is a part of wider reforms that have been undertaken within the PLA and will have far reaching impact on the organisation and its conduct of operations. This is only the fourth time such extensive reforms are being attempted; the first one being under Marshal Peng Dehuai in 1954, second under Deng in the early 1980s and then under Jiang Zemin in 1993. Each of the previous ones was either after a conflict or domestic political upheaval. It is also worth noting that each Chinese leader since Deng has reduced PLA numbers and attempted reforms. The PLA has undergone three stages of modernisation since its founding. The first stage which lasted till the 1980s was focused on a large conventional force which was prepared to fight the ‘People’s War’ leveraging China’s advantages of space, time and manpower. This was a predominantly Army-centric force as is evident from the name PLA itself. It has been 34 days since mass demonstrations, most of which turned violent, erupted in the Valley following the killing of Burhan Wani, the poster boy of terrorism for the last few years. Fifty six people have been killed; approximately 3,000 have been injured and more than 100 have suffered serious eye injuries due the use of the now infamous pellet guns. Despite the fact that ‘intifada’ has been exploited by the separatists since the 1990s and the experience of benchmark demonstrations in 2008 and 2010, the spontaneity, magnitude and violence of this time’s unrest came as a complete surprise to the state and central government. This itself speaks for the lackadaisical political approach that has been notable for acceptance of status quo, absence of a strategy and focus on tactical responses to recurring crisis. More so, when the nature of demonstrations is political, with the death of Wani merely being a trigger. An insurgency and a counter insurgency (CI) campaign are both driven by its political strategy on which terrorist strategy and military strategy of the state are contingent. We are at a critical juncture in Jammu and Kashmir (J&K ) The terrorist strategy has failed and political strategy is at centrestage to pursue their political aim and to revive terrorism. On the other hand, the military strategy of the state has been eminently successful despite the political disconnect. But sadly, rather than seizing the political initiative, the state — trapped by ideological political rhetoric, an excited jingoist media and public emotions — is suffering from inertia, and continues to focus on the military strategy. This crisis presents an opportunity to boldly pursue a political strategy to resolve the issue within the framework of our constitution. A missile is launched from a navy ship during a live ammunition drill in the East China Sea. BEIJING — China and the United States have been trading accusations as both sides conduct war games across East Asia, and tensions are rising from the South China Sea to the East China Sea to the Korean Peninsula in the midst of a regional arms race. At the heart of the tensions lies the maritime territorial dispute in the South China Sea, as well as a growing divide on how to respond to North Korea’s nuclear weapons program, infecting China’s relations with South Korea, Japan and the United States. Yanmei Xie, senior China analyst with the International Crisis Group (ICG) in Beijing, says China’s relations with its neighbors have deteriorated significantly, as the region continues to engage in an arms race. Xie said Beijing and Washington have radically different explanations for the deterioration in the regional security environment. “If you ask China, it’s because of the U.S. pivot to Asia. If you ask anyone else, it’s because of the emergence of a more assertive China,” she said. The Permanent Court of Arbitration ruled in favor of the Philippines in its case against China regarding the South China Sea disputes. Undoubtedly, the Philippines scored a major moral victory. Yet the ruling will have little, if any, impact on the actual situation on the ground. After all, as Harvard’s Graham Allison has noted, none of the permanent members of the UN Security Council has ever respected rulings by the Permanent Court of Arbitration (which is not a UN agency) or even the International Court of Justice (which is a UN agency). And we can only expect China to disregard the ruling entirely, as it has done so far. So what should the Philippines, China and the United States do now? War and escalation is not an option. With much of Europe in crisis management, and the whole Middle East and North Africa in flames, the world cannot afford to let a dispute over some rocks, shoals and islands to drag the world’s two largest economies into a major crisis, at least not now. With a new president in charge of the Philippines, the U.S. presidential election only a few months away and Chinese president Xi Jinping entering his second term soon, perhaps it is time for all three actors to sit back, take a deep breath and think clearly about what they really want. Thankfully, China before the ruling, and the Philippines and United States since, have all signaled that they wish to avoid any further escalation of the situation. Less than two weeks into President Jimmy Carter’s administration, the top China and Asia staffer at the National Security Council staff, Michel “Mike” Oksenberg, wrote a memo expressing concern about the quality of the government’s China experts and requesting a review of the human aspect of U.S. intelligence capabilities on China. One of the leading China experts of his generation, Oksenberg also wanted more educational programs for analysts to maintain and expand their knowledge beyond the narrow concerns of their day-to-day duties. Oksenberg’s 1977 memo to his boss, National Security Advisor Zbigniew Brzezinski, may not have gone anywhere, but the issue of whether the U.S. government possesses adequate knowledge of China and expertise sufficient to assess Chinese actions continues to linger. Today’s concerns over the knowledge and competence of the U.S. government’s “China hands” come from a broad enough range of sources that they cannot be treated as simply politically motivated attacks. On the one side, those critical of U.S. policy toward China have complained about the competence and politicization of “panda huggers” who skewed analysis to fit an overly optimistic of U.S.-Chinese relations. On the other side, those who pride themselves on their professional, research-based perspective also have criticized the U.S. intelligence community for not paying sufficient attention to expertise and not addressing some key questions. One quiet commission investigating the state of U.S. intelligence analysis of China in the late 1990s reportedly concluded there was an institutional predisposition to misunderstanding Chinese developments. India's move to deploy BrahMos cruise missiles in Arunachal as a deterrent against China has provoked a sharp response from the Chinese People’s Liberation Army (PLA). The NDA government had given the final go-ahead for the Army to induct and deploy an advanced version of the BrahMos missile for mountain warfare in the northeast earlier this month. The PLA’s official mouthpiece, the PLA Daily, has warned India that doing so could attract countermeasures from China and bring “a negative influence” to “stability” of border areas. “India deploying supersonic missiles on the border has exceeded its own needs for self-defense and poses a serious threat to China’s Tibet and Yunnan provinces,” said the commentary, published this weekend in the PLA’s influential official newspaper. The Cabinet Committee on Security, chaired by PM Narendra Modi, had cleared this fourth BrahMos regiment at a cost of over Rs 4,300 crore. Slowly, and much to the distaste of Turkey’s President Recep Tayyip Erdogan, the possibility of a united autonomous Kurdistan stretching across the northern reaches of Syria and Iraq is emerging. The capture of the township of Manbij from Islamic State (IS) on 12 August 2016 produces along Turkey’s southern border an uninterrupted swathe of territory controlled by the Syrian Democratic Forces (SDF) – an alliance of Arab and Kurdish militias. Thisarea joins seamlessly with Iraq’s Kurdistan Region, the Kurdish populated area granted autonomy in Iraq’s 2005 constitution. Just as the artificial boundaries and borders imposed on the Middle East by the victorious allies after the First World War are laughed to scorn by Islamic State (IS) in declaring its caliphate, so any united autonomous Kurdistan – if such an entity were ever to come into existence – would have to sit fairly and squarely across what now constitute the internationally recognised borders of Turkey, Syria. Iraq and Iran. Iraq’s Kurdistan contains about 5 million of the world’s approximately 30 million ethnic Kurds; the liberated region in Syria about 2 million. Most of the rest reside in the areas immediately adjacent to Kurdistan’s northern and eastern borders, in Turkey and Iran respectively – both of which are deeply opposed to any suggestion of granting Kurds independence, or even autonomy on the Iraqi model. Donald Trump recently drew fire for his insistence that he had made sacrifices on a par with those of Khizr Khan, who spoke at the Democratic National Convention on July 28 and whose son Humayun was killed while serving in Iraq in 2004. Hillary Clinton praised Khan’s speech and “the ultimate sacrifice [Humayan] made for his country,” while Trump insisted that he had sacrificed by giving thousands of people jobs, by working hard, and by raising money for veterans. Trump has rightly drawn ridicule for comparing his business deals to the loss of the Khans’ son, but one important thing has been lost among the guffaws emanating from the Democratic Party: the vast majority of Americans have sacrificed absolutely nothing in service of the great war machine that the United States has been running for the past fifteen years. This is no accident. Over the past four decades, the United States has chosen to build a model for the use of military force that minimizes as much as possible the costs that Americans must pay to deploy U.S. forces. Trump may not have sacrificed much, but neither have most Americans—and unfortunately, this is a necessary feature of the United States’ current foreign policy. As I document in my book Cheap Threats, this low-cost model of American force started to take shape at the end of the Vietnam War. When the United States eliminated the draft in 1973, it did so in response to the deeply unpopular war in Southeast Asia and to criticism that the draft was unfair: young men who could afford to attend college, for example, were able to obtain deferments that allowed them to avoid military service. The movement to the all-volunteer force (AVF) has enhanced the training and professionalism of the United States’ military, but it has also insulated policymakers from criticism they would no doubt face for starting and maintaining two wars of choice in the Middle East while going after militants in Pakistan, Yemen, Libya and elsewhere. It is simply unimaginable that the United States would still have troops in Iraq and Afghanistan and that a former Senator who voted for the Iraq War would be the Democratic Party’s presidential nominee if the United States still drafted young Americans into military service. Editor’s Note: This is intended as a follow-on to “Stealth is King, the World is Flat”, which called for renewed emphasis to evolve the fight in the low-altitude regime and to reduce what some surmise is an overreliance on stealth. Commentaries regarding stealth on War on The Rocks may have left readers with the impression that there is a binary force structure choice between the “haves” and the “have-nots” regarding aircraft with stealth characteristics. While it is human nature to seek out binary decisions, this could not be further from the truth. Any current, competent, experienced warfighter knows that we commit a significant disservice when the subject of stealth is oversimplified. It’s not that simple. If there is one thing the U.S. Air Force should prioritize above all else, it is air superiority. Air superiority has consistently been a necessary prelude and continuous requirement for the joint force to meet military objectives. Simply put, air superiority permits the ability to maneuver, support, and fight at will on land, sea, and air. In wars of necessity, you don’t win without it. A top US military commander has warned the forces of President Bashar al-Assad “we will defend ourselves” after Syrian planes and artillery launched operations in an area where American special forces are located. 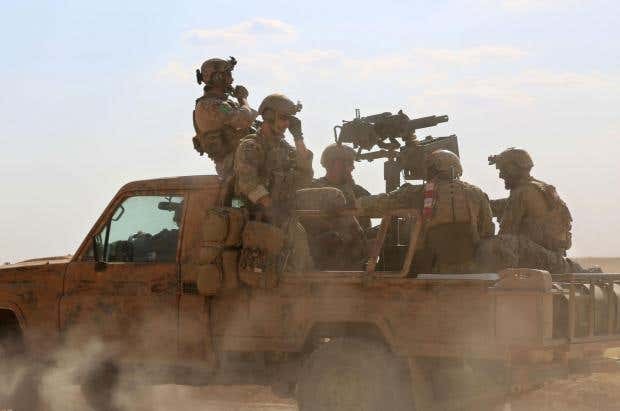 The US dispatched a small number of special forces troops to northern Syria to assist Kurdish Pershmerga and support Syrian rebel groups seeking to overthrow Mr Assad. Yet last Thursday, two Syrian Su-24 ground-attack planes targeted an area close to where they are based. The incident in the northern Syrian city of Hasakah, highlighted the complicated and perilous situation in Syria, where the US and Russia are on different sides of a civil war that has now raged for five years and killed or displaced millions of people. While in disagreement over Mr Assad, the two countries are seeking to cooperate in efforts to attack and destroy Isis bases in Syria. Lieutenant General Stephen Townsend, who took control of US forces in Syria and Iraq last week, said he had voiced his concerns – passing a message to Syria through Russian intermediaries. All this clamor and controversy is overshadowing Russia’s impending September 18 parliamentary elections. This might be exactly what President Vladimir Putin wants, however. The Duma elections five years ago sparked unprecedented protests over fraud and Putin’s unilateral decision to return to the presidency. He has been clamping down ever since. But though electoral competition remains tightly controlled, elite competition is increasingly played out in the open. A changing of the guard is underway in Russia. It is occurring via presidential decree, however, not elections. Such an opaque process produces plenty of intrigue and speculation. What it lacks is real political options for voters and a chance for genuine change. Reading the Russian tea leaves is a growth industry. But even among all the comings and goings, certain trends have become apparent. Most notably, the people who built Putin’s system are on their way out, replaced by people of the system. It’s time to recall September 26, 1983, what could have been the most consequential moment in history. That day, Lt. Col. Stanislav Petrov was the duty officer at the Serpukhov-15 early-warning center, south of Moscow. During the first hours of the morning Petrov heard successive alarms indicating that five Minuteman missiles from Montana were headed toward the Soviet Union. More than thirty reliability checks in Serpukhov-15 confirmed the attack. The Soviet officer did not think the U.S. would begin a conflict with such a small salvo, and as it turned out, he was right. Sensors aboard satellite Kosmos 1382 misinterpreted sunlight bouncing off the tops of clouds as incoming missiles. His reward for saving humanity? Stanislav Petrov was disciplined for a technicality and soon left the military. The only thing that prevented a nuclear exchange that day was what Petrov later called “a funny feeling in my gut.” The world was fortunate: it was not his turn to stand duty. Petrov took over the watch for a friend. The Petrov incident is not the only time the world came close to accidental Armageddon. In January 1995, Boris Yeltsin received his nuclear launch codes and had to decide whether to fire off his missiles when America and Norway sent a rocket into space to study the Northern Lights. A mistake in Moscow resulted in a failure to forward the advance notice of the launch to the appropriate military command.